It's hard to imagine certain celebs together, but A-listers, just like the rest of us, have romantic pasts. Sometimes these relationships extend beyond their time in the limelight … meaning that some stars dated one another before they became household names! 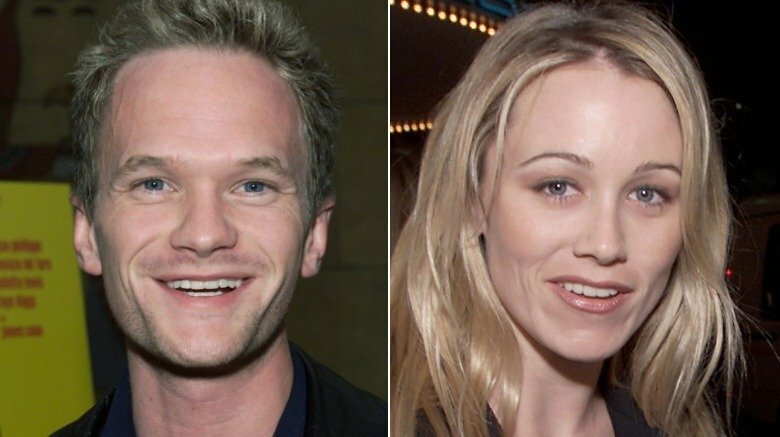 Before they became famous, many of these couples were totally adorable (like actors Liam Neeson and Helen Mirren, who still make our hearts swell today), while others clearly wouldn't have worked out in the long run (Christine Taylor and Neil Patrick Harris were decidedly mismatched). 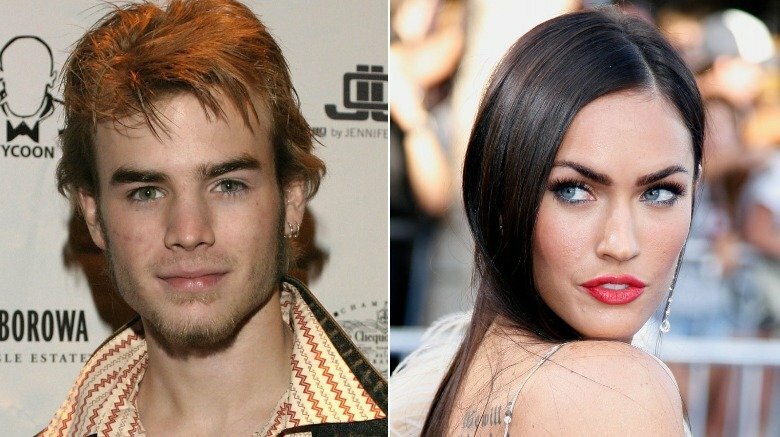 Others like David Gallagher of 7th Heaven and gorgeous movie star Megan Fox, well, we just can't seem to wrap our heads around them together. 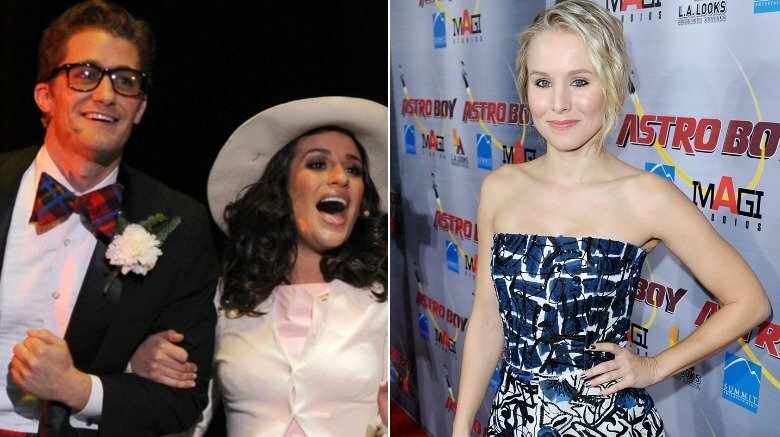 If you can believe it, all of these pairings actually happened before these stars hit it big … even if some of the couples involved would rather forget that they did. Here's looking at you, January Jones and Ashton Kutcher. Neil Patrick Harris came out as gay in 2006, but it was a relationship he had years earlier with a now-famous woman that made him realize he wasn't attracted to females. In an interview with radio shock jock Howard Stern (via Contact Music), Harris revealed that dating actress Christine Taylor, who married Ben Stiller in 2000 before they later divorced, made him realize that he was into men. "She's the coolest, nicest chick ever. She's an absolute catch," he said, "and I thought, 'If I'm not going to feel the super sparks with her … it probably means I'm gay.'" E! News reports that Harris and Taylor dated back in 1997, after Harris became famous from Doogie Howser, M.D., but before he became relevant as an adult actor. But Taylor doesn't get all the credit for having helped Harris realize his sexuality: In an excerpt of Harris' autobiography published in the Daily Mail, the How I Met Your Mother star shared that a joking kiss from Burt Reynolds also did the trick. Actress Megan Fox began dating her now-husband, Beverly Hills, 90210 star and former teen heartthrob Brian Austin Green, when she was 18 years old and he was 30, but, before that, she was in a much more age-appropriate relationship with a fellow young actor. Long before Fox became a household name with the 2007 Transformers movie, she had a role in the TV series Hope & Faith, starring Faith Ford and Kelly Ripa, and a small part in a 2001 direct-to-DVD Mary-Kate and Ashley Olsen flick called Holiday in the Sun, among other tiny gigs. During this period of her career, Fox dated 7th Heaven actor David Gallagher, who played Simon Camden on the '90s family-friendly series following a minister and his large family. According to E! News, Gallagher and Fox were an item from 2003 to 2004, when she was 17 to his 18. Musician Jack Antonoff of the bands fun., Bleachers, and Steel Train dated actress Scarlett Johansson when they were in high school in 2001 at the Professional Children's School in New York City's elite Upper West Side. A classmate told Page Six, "When we were in high school, Jack was absolutely obsessed with her, and she broke his heart," adding, "They broke up shortly after graduation … She got swept up in the Hollywood scene." The couple even went to prom together. In 2014, Antonoff's then-longtime girlfriend, Lena Dunham, reportedly stumbled upon photos of the former couple on Tumblr. "The craziest thing that ever happen to me, was like, Old Loves is my passion, I check it, like, once a week," she said, referencing a Tumblr blog (via News.au). "It's how I kick back on a Friday night is to see what Old Loves has done. And I was going through it and I saw my boyfriend and his girlfriend from high school. Scarlett Johansson." She noted, "I know I shouldn't spill that in a public forum, but you can Google it." Antonoff sang about Johansson in his Steel Train song "Better Love," crooning, "This girl, she had it kinda sweet / Till fame swept her off her feet / She sees nothing she did before / Lets her colors hit the floor / Scars are in her name / And she scars me in blame / Hey Scarlett, you're not the same." Could there possibly be a funnier couple than Conan O'Brien and Lisa Kudrow? The Friends star revealed that she and Coco dated before they each hit it big in television. She revealed to More magazine that she and O'Brien dated briefly but were better off as — wait for it — friends (via the New York Daily News). They were such good pals, in fact, that she said she credits him with her sticking it out in improv classes when she wasn't too thrilled with them. "He was really smart, really funny, and he thought I was funny," she recalled. Regarding improv, she added, "I was embarrassed. Everyone was trying too hard." He convinced her to join the Los Angeles-based improv group the Groundlings, and she, as we all know, later became a TV legend playing Friends' Phoebe Buffay. And O'Brien might be just as indebted to Kudrow for getting his start in late night television, which she confirmed to The Saturday Evening Post. "I was very encouraging. I remember saying, 'If Letterman's leaving his late-night show, he's irreplaceable. So better it be someone we don't know at all.' So I thought he should look into it." 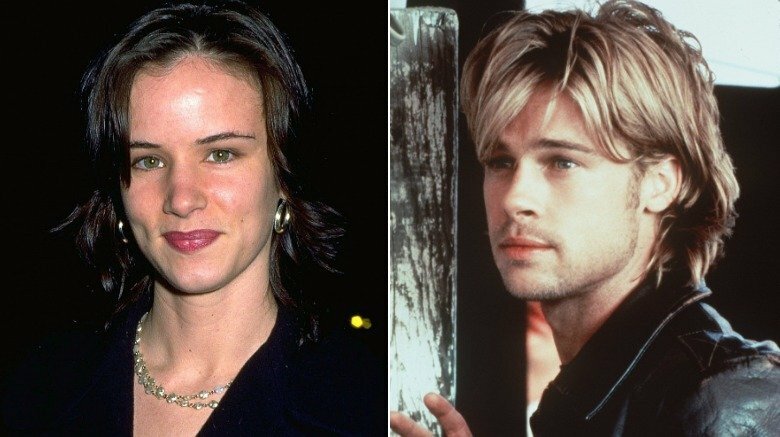 Juliette Lewis and Brad Pitt, who starred together in 1993's Kalifornia, dated for a few years. She revealed to the Daily Mail, "It amazes me that people are still fascinated that we went out for four years. I was a teenager at the time. It's a lifetime away. I was in my high school years and it was a wonderful, loving relationship with a fun, smart guy. Then it was over and he went on to become incredibly famous." The two are still friendly. Pitt told Vanity Fair in 1995, "I still love the woman. There's some real genius there. I had a great time with her. … It was one of the greatest relationships I've ever been in." He added, "The problem is, we grow up with this vision that love conquers all, and that's just not so, is it?" In 2010, Lewis told Fox News that she and Pitt's ex-wife Jennifer Aniston were pals, and noted that she and Pitt would "run into each other" every so often, which was "really nice." 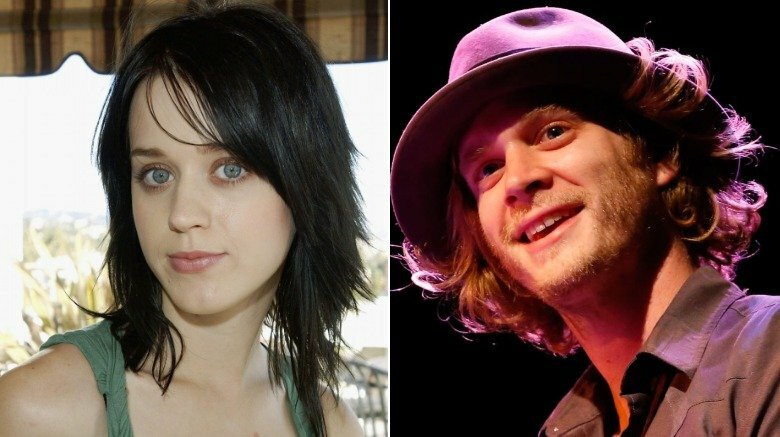 Back when pop star Katy Perry was still a fledgling Christian singer in the early 2000s, she dated Christian pop-punk artist Matt Thiessen, frontman of the band Relient K (via E! News). "I used to date her back in the day for a couple of years. But we're still really good friends," Thiessen told Songfacts, adding, "We're not too close, but yeah, she's a great person." He added that she became a star while he was working with Owl City, noting, "While I was working on this Owl City stuff, she was hitting the cover of Cosmo. And then, all of a sudden, it's a couple months later and he's charting and radio success and all this stuff. And I'm like, that's really cool. Two of my friends have just become really popular in a short amount of time." Perry was such a supportive girlfriend to Thiessen that video footage resurfaced a decade later of her failing epically to stage-dive at a Relient K show. The two even wrote the song "Long Shot" together, which was eventually recorded by Kelly Clarkson for her All I Ever Wanted album. 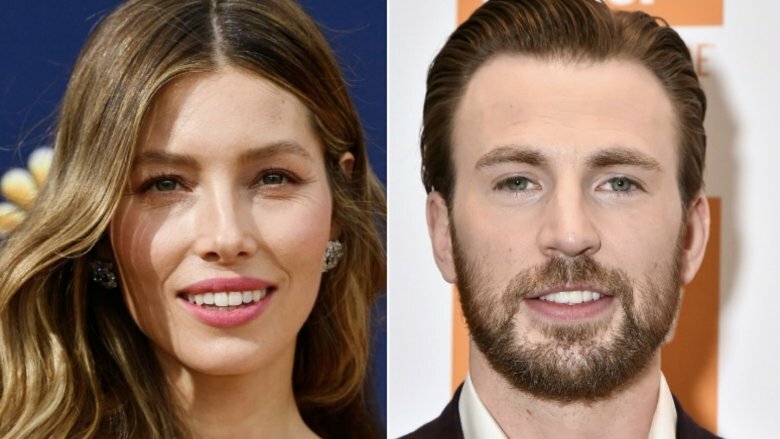 Way before Chris Evans became Captain America, he was pretty much relegated to being 7th Heaven star Jessica Biel's plus-one on red carpets. 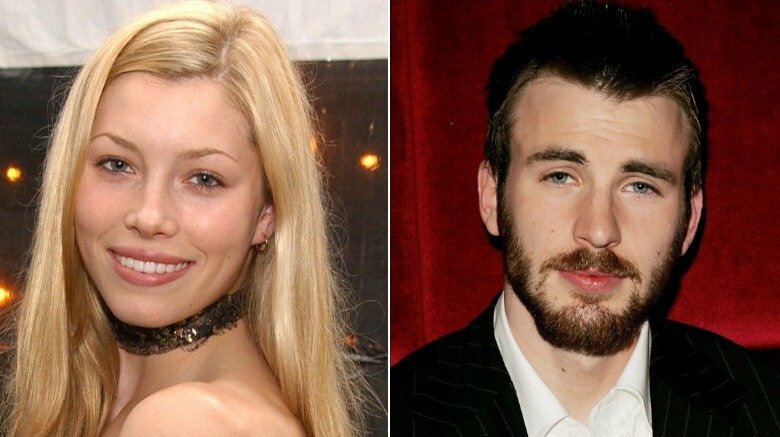 The couple dated for roughly five years, from 2001 to 2006 (via Cosmopolitan). Neither of them has spoken too much publicly about their relationship, though they have said some very sweet things. Biel once gushed to Cosmopolitan in 2005, "When I turned 21, I actually awoke to find my bed covered in rose petals. In the middle of the night, he had pulled apart at least 24 roses in all different colors and sprinkled the petals everywhere. He's definitely a keeper." Evans, meanwhile, revealed to Esquire in 2017 that he and Biel once went skydiving for Valentine's Day. When they called it quits in 2006, reports circulated that Evans had been spotted with brunette PR exec Joyce Sevilla. Biel moved on later that year with Derek Jeter (via People), before getting together with Justin Timberlake in January 2007. She and Timberlake ended up marrying several years later. January Jones dated Ashton Kutcher before hitting it big as Betty Draper on Mad Men, and there were rumors for years that he was the subject of a remark she made in a 2009 GQ profile about an ex. In the article (via E! News), Jones griped that her first boyfriend since moving to Los Angeles "was not supportive of my acting." She said, "He was like, 'I don't think you're going to be good at this.' So — f**k you! He only has nice things to say now — if anything, I should thank him. Because the minute you tell me I can't do something, that's when I'm most motivated." Years later, Jones appeared on Watch What Happens Live With Andy Cohen, where a caller asked, "January, have you ever talked to Ashton Kutcher since he said you couldn't act, and what do you think about his acting skills?" Jones replied, "Ooh, ouch … I said that someone I had dated previously wasn't encouraging of my acting — not that I couldn't. I don't know if that person had ever actually seen me act, but the person who wrote the interview did the math and thought it might be him, so I never really said who it was." Jones never confirmed that Kutcher was the jerk in question, but she added, "I haven't talked to him, but I'm super happy for him and his family, to be political and all that." Who knew Will Schuester got around? Glee star Matthew Morrison briefly dated co-star Lea Michele during their Broadway days back before they ever shared screen time in the musical dramedy series. Michele revealed in her memoir, Brunette Ambition (via E! News), "When we shot the [Glee] pilot, I met Cory Monteith, Kevin McHale, Amber Riley and Chris Colfer for the first time," adding, "I had worked on Broadway with Jenna Ushkowitz and Matthew Morrison before. Matt had been a friend of mine for years, and in fact we'd actually dated back in the day for a Broadway beat." But Michele wasn't the only celeb Morrison dated before hitting it big. In 2010, Kristen Bell shared that Morrison was an old college flame, telling Us Weekly, "I actually went to college with Matty Morrison." She continued, "We actually dated very briefly, so I'll have to say maybe Matt Morrison is my favorite part of Glee for various reasons." 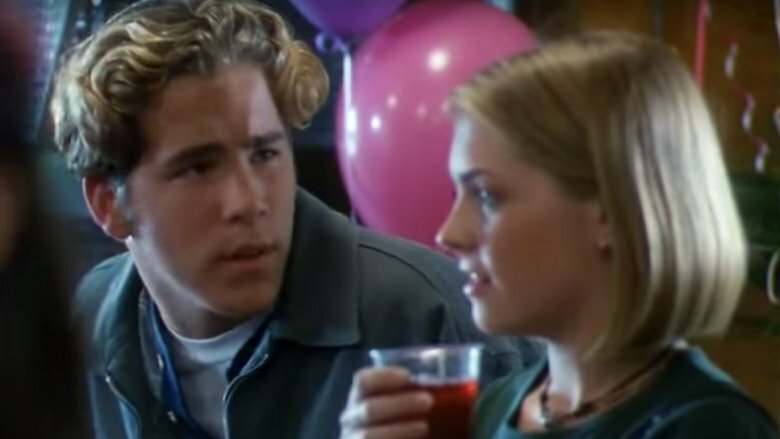 When Melissa Joan Hart was first rising to fame on Sabrina the Teenage Witch in 1996, she had then-unknown actor Ryan Reynolds smitten. She revealed on Chelsea Lately (via the Daily Mail) that he tried to win her over with a Beluga watch, telling host Chelsea Handler, "He was 17 and I was, like, 19. I was like, 'You're too young for me.' … I wasn't sure so I just grabbed him and started kissing him. You get a piece of jewelry like that, you gotta make out with the guy!" It was just a fling for Hart, though, who says she had a boyfriend at the time. She told Australia's Studio 10, "He was sweet — he was very sweet. … We were smitten and cute." She added, "[Reynolds] probably would have been a great boyfriend, and I didn't end up with the other guy, so maybe I should have taken a chance." 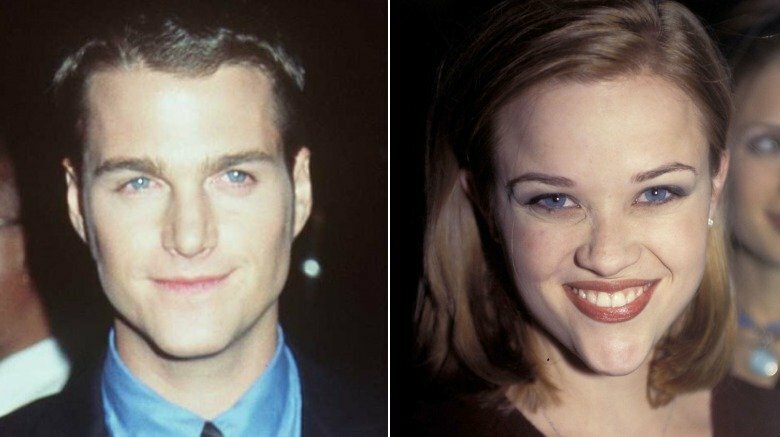 Before he had Robin's tights, Chris O'Donnell had Reese Witherspoon's digits. He was around 22 years old when he dated the future Legally Blonde star, who was just a teenager in 1992, as Rolling Stone reported. According to E! News, the two were an item when Witherspoon first moved to Los Angeles, but little else is known about their relationship. O'Donnell and Witherspoon were reportedly together for a few months, but their romance didn't last. The following year, the future NCIS: Los Angeles star met a woman named Caroline Fentress, a college pal's younger sister who would later become his wife. O'Donnell married Fentress in 1997, as noted by People magazine, and, at the time of this writing, the two have since welcomed five children. Since dating O'Donnell, Witherspoon moved on to relationships with Ryan Phillippe and later Jim Toth. 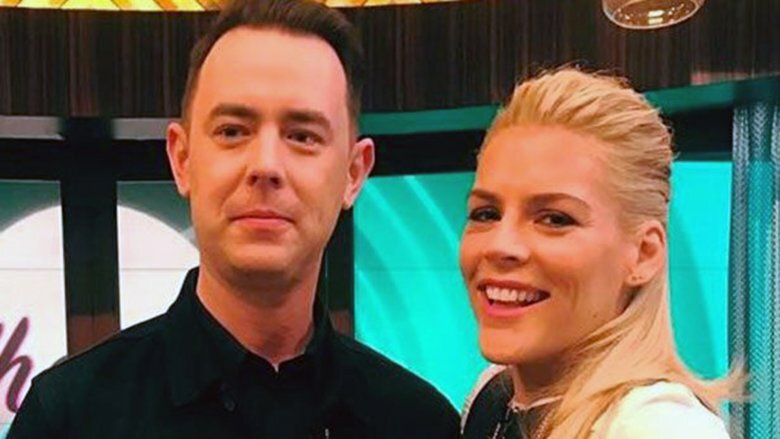 Celebs Colin Hanks and Busy Philipps dated when they were classmates at Loyola Marymount University in the 1990s, and they're still close friends today. In fact, in 2017, Philipps was a guest co-host on Live With Kelly when Hanks was a guest on the show and gushed about their prior relationship. "He was my college boyfriend!" she said. "We are very very close friends now — his wife and I are very tight, he and my husband hang out. We go on vacation together." The two met when Philipps was 18 and Hanks was 19. After noting that they'd known each other for 20 years, Philipps shared, "I do have moments where I think, 'How cool that we knew each other at this formative moment in our lives.'" Hanks added, "We got our first televisions shows within the same week. We got our first movies within the same week. We were able to go through all of these really special moments in young actors' lives together." Dame Helen Mirren dated Liam Neeson in the 1980s after meeting on the set of 1981's Excalibur. They later reunited on The Graham Norton Show in 2018, where they discussed their past relationship, which was so serious that they admitted they actually lived together for four years. 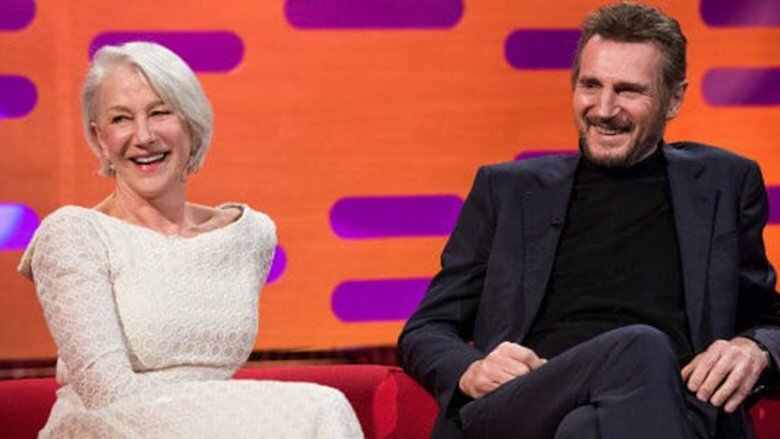 Neeson opened up about the moment he first fell for Mirren, much to her delight. Recalling meeting Mirren on set, he said, "She walked from a hundred yards away dressed as Morgana le Fay, and Ciarán [Hinds] is my oldest friend, and we both went, 'Oh f**k.' … I was smitten." The two celebs split after four years together, with Mirren revealing in a 1994 story about Neeson (via The Telegraph), "It was difficult for him to be under my shadow. I was well known. I had the money." She said that they felt it was time for Neeson "to come out from under my wing." She added, "He handled it with great elegance and grace. We loved each other. It was difficult to let go."